There is ability to set a Limit for the Resource. There is ability to check the Usage of the Resource during the allocation. Quotas belongs to the Resource of the Service. Quota some kind of restriction for the consumers of the Resource. Consumer of the resource can be defined as Project or as a scope (User-Project or User-Domain). Service is doing quota enforcement when Consumer is allocating some Resource . Enforcement is a check that usage is less than limit. If resource was successfully allocated Service increases Usage. Each service has to have default limits. Limits can be customized by admin. Each Resource belongs to some Service (Nova, Neutron, Cinder). Let's take a look what Resources each Service have. So, how Horizon knows what resources, limits, defaults has some service? Horizon has a hardcoded list of resources hardcoded, nova has a harcoded list of resources and Horizon has a hardcoded mapping to the services. 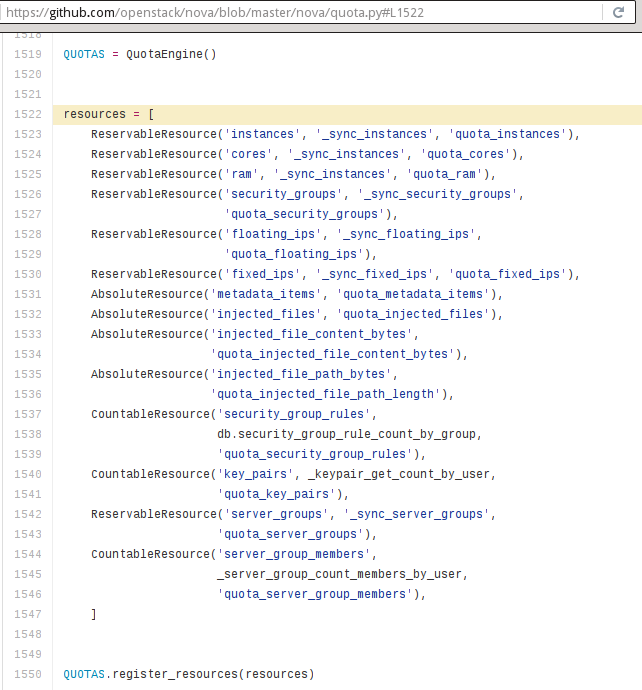 Name of the resources and resource-service mapping are hardcoded. It is hardcoded in the service code (Nova, for example) and it should be hardcoded in the client code (Horizon, for example). Limits can be modified via Horizon or via service API. Horizon has to ask all services (and first of all decide what service to ask) for limits info to display limits per project. There is no centralized quota management for OpenStack projects. 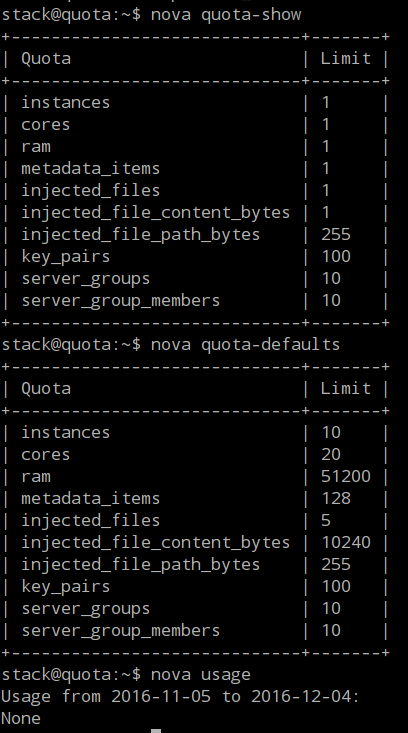 Quota basically is limit and usage. Usage is not manageable, it is a counter that is updating by Service. So, when we are talking about quota management it means limits management. 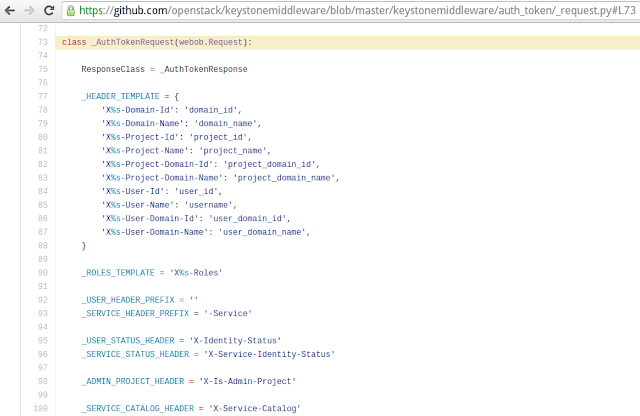 OpenStack supports projects hierarchy. Projects tree can be built to provide a more manageable model and organize infrastructure according to divide and conquer paradigm. From this, it logically follows that quota management and enforcement tools should also be aware of projects hierarchy. 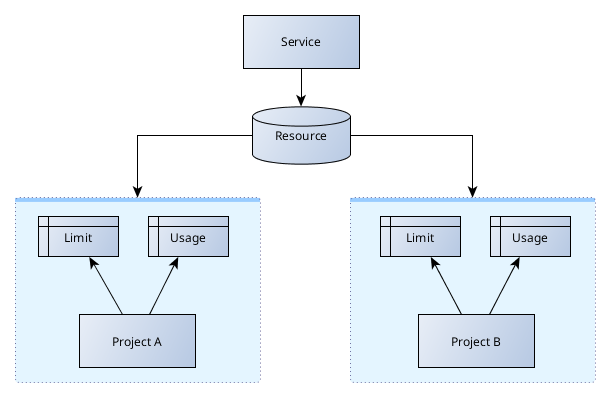 For the nested projects limits enforcement should be in done such way that not only project usage cannot exceed project limit but the sum of project usage and subprojects usages cannot exceed project limit. Let's take a look at examples for better understanding. There is a projects tree. Prj_0_a has to subprojects: Prj_1_a and Prj_1_b. The sum of subprojects limits is less than parent project limit. 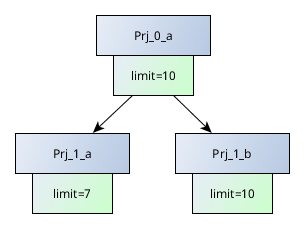 User can allocate 7 items of resource for Prj_1_a and then user will be abble to allocate only 3 items of resource for Prj_1_b due the parent project limit=10. But if usage for Prj_1_a=0 than user is able to allocate all 10 items for Prj_1_b. 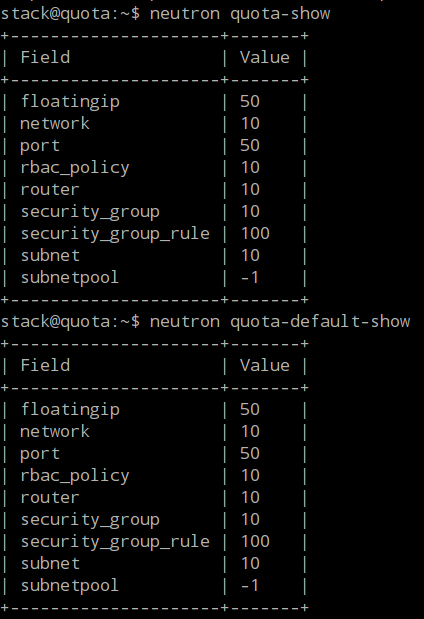 Cinder, Nova and Neutron supports (or going to support) hierarchical quotas in a different ways. Keystone should have CRUD API for the resources and limits. Horizon make request for Nova. Horizon uses novaclient and puts token id into request. 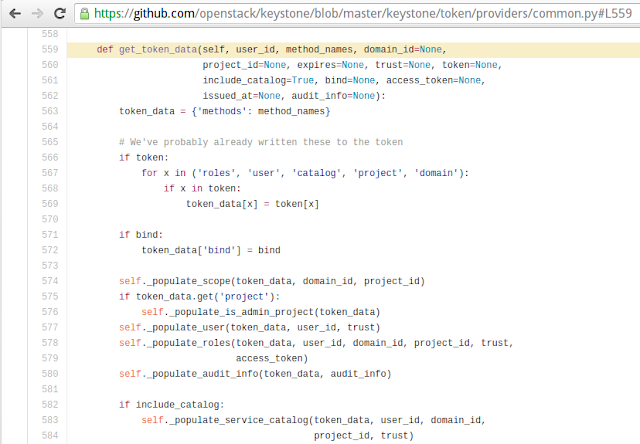 Nova uses keystonemiddleware to verify token. 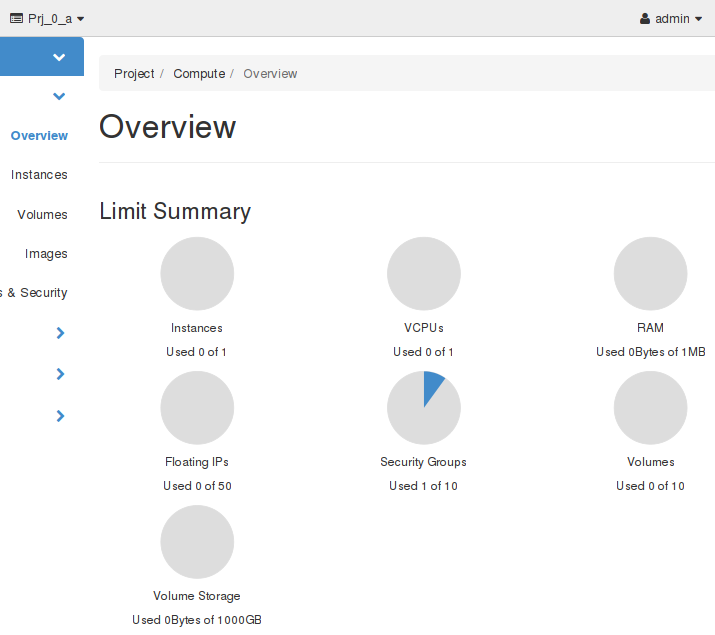 Nova creates response for Horizon and populates it with limits information from it's own database. Horizon gets response from Nova and processes limits information to display it. 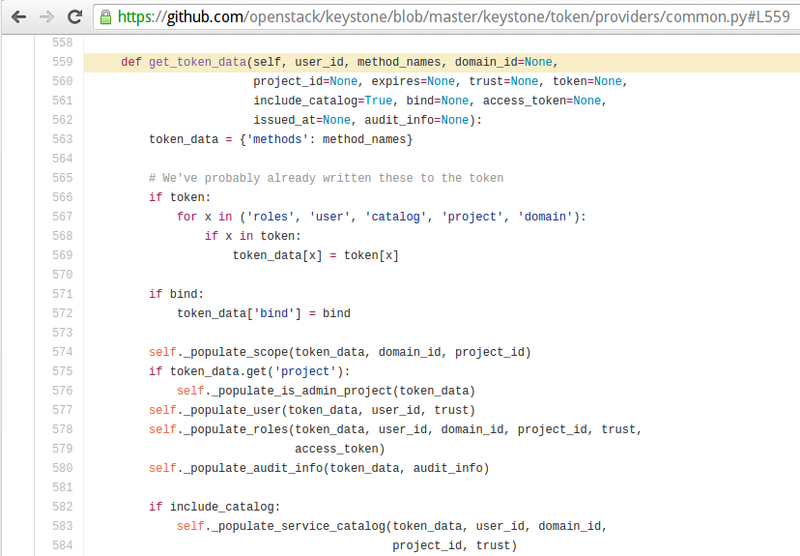 Add argument include_limits for issue_token() method of the token providers. 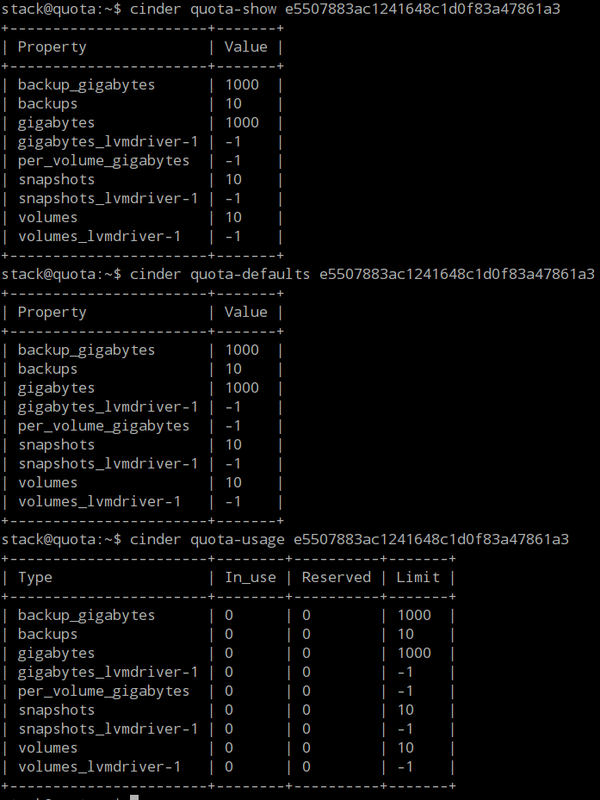 Add argument include_limits for get_token_data() method of the token provider helpers. Token provider helpers should include limits data in the token if include_limits=True. 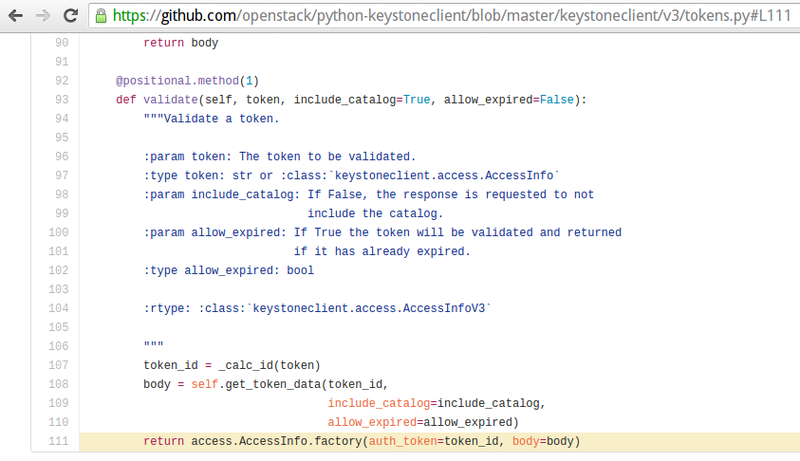 Add argument include_limits for validate() and get_token_data() methods of the tokens.TokenManager. Add new attribute limits to the access.AccessInfo. Create new class Limits to process limits data from token. 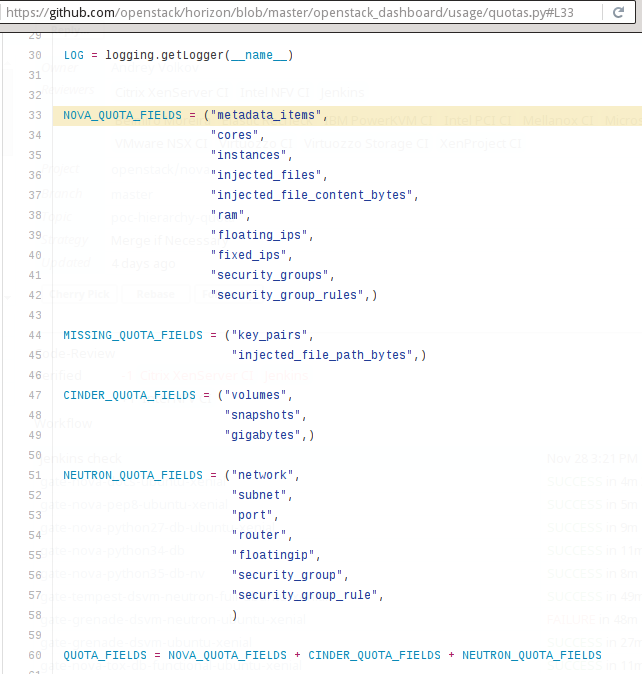 Add new option include_limits for auth_token config to include or not header X-Limits into response. Add ability to set X-Limits header and populate it with limits data. Add argument include_limits for verify_token() methods of the IdentityServer and request strategy classes.